The Secret Garden bought a floral fashion feast for the senses to intu Trafford Centre, Manchester in the spring of 2017. Shoppers, press and fashion bloggers were invited to immerse themselves in a world filled with frivolous fun and spring trends. 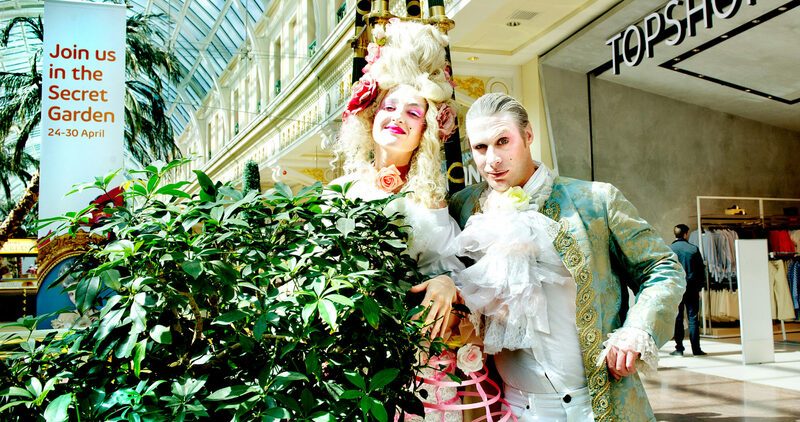 We devised a floral trail for people to follow, they then picked up a retro floral phone or got the secret password from one of our outrageously charming Rococo Loco hosts, to unlock the gates to the secret fashion garden. Inside the trellised terrace, Madame Jardinière was there to greet them and serve a taste of prosecco, a make-up treat or a style consultation. 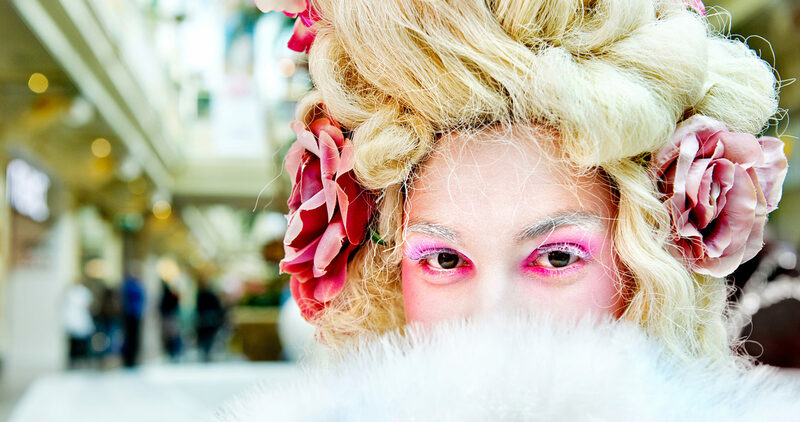 With interactive games, baroque dance displays and lots to entertain, this event promoted the fabulous new spring fashion trends in an innovative and memorable way, giving the traditional fashion retail campaign a blooming marvellous twist!